2012 SDS/2 Users Group Registration Now Open! Learn the latest in software innovations and network with fellow industry professionals at the 2012 SDS/2 Users Group Conference! Each year, the SDS/2 Users Group hosts its annual conference in Lincoln, Nebraska. This three-day learning event includes training on specific topics determined by the Users Group, the unveiling of new enhancements, award presentations and other activities. This year's conference will be held October 10th through the 12th at the Cornhusker Hotel in Lincoln, Nebraska. For the first time, the 2012 SDS/2 Users Group will host partnering companies via the event's Partner Pavilion, which replaces the Interoperability Network. The Partner Pavilion is open on Wednesday, October 10th and Thursday, October 11th. The conference kicks off on Wednesday with the opening of the Partner Pavilion at 12:15 p.m., followed by the event's keynote speaker, roundtable discussions, and the business meeting. The day concludes with the Design Data Update and the Partners Reception, sponsored by Peddinghaus. Thursday is dedicated exclusively to educational sessions. Session topics include Real-Life Model Approval Implementation; SDS/2's Use on Industrial Projects: An Engineer's Perspective; and Working with Erectors Using SDS/2 Erector. The event closes on Friday with more educational sessions, such as Bringing BIM to the Field with SDS/2: How to Work With Cloud Point Technology; The Basics of Report Writer: Getting the Information You Want from SDS/2; and Marketing Your Business. New this year are four classroom lab sessions designed to give attendees hands-on training right at the conference. The labs include Parametrics and Custom Members, SDS/2 Connect, and SDS/2 Erector. Seating is limited to 15 at the labs, so register early to guarantee your spot. Register Now and Save on Registration! 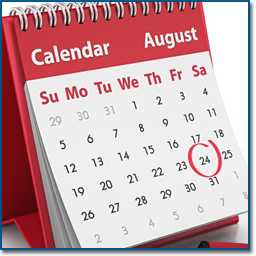 The deadline for early bird registration ($75 registration fee) is August 24th. The conference fee for registrations between August 25th and September 21st is $100. After September 21st, the cost is $125. The deadline for online registration is October 5th. To register for the conference, click here. This year's conference is open to non-SDS/2 customers, so forward this information on to anyone who wants to attend! 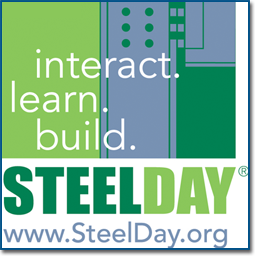 To celebrate AISC's SteelDay on September 28, Design Data is hosting a webinar on Engineering, Detailing, Fabricating and Erecting Steel in SDS/2. The webinar will focus on the process a steel structure goes through, from initial design and detailing to fabricating and construction. BIM and roundtripping between software also plays a crucial role in streamlining the process, leading to reduced timelines and increased efficiency. Attendees will learn how SDS/2 solutions and the subsequent steel model fit into the different facets of construction. August is the last month to submit your entries into the 2012 SDS/2 Solid Steel Competition and Code Clash 2012. The Solid Steel Competition is designed to recognize innovative, challenging projects detailed using SDS/2. The Code Clash 2012 programming competition will highlight the creative minds of SDS/2 users by awarding prizes to the authors of the best parametrics and custom members. The final day entry submissions will be accepted into the competitions is August 24th, so submit your projects and parametrics today! 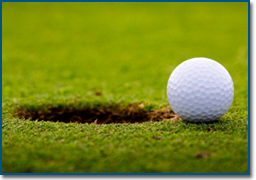 After the conclusion of the 2012 SDS/2 Users Group Conference, Design Data is hosting the First Annual Design Data Golf Tournament, a 9-hole scramble. The tournament will be held at 2 p.m. Friday, October 12th, at Himark Golf Course, located at 8901 Augusta Drive. Transportation will be provided. The costs are $26.00 per player (includes green fees and a cart) or $33.50 per player (includes green fees, cart and two drink tickets). A limited number of right-hand clubs are available for rent, and may be shared between players. To register or learn more, call Design Data at 402.441.4000. SDS/2 customers Ocean Steel and Tocci Building Corp. recently teamed up on the first building of Alexandria Center at Kendall Square, a $500 million build-to-suit science and technology campus in Cambridge, Massachusetts. The 225 Binney Street project is a six-story, 305,000-square-foot building that features a glass and terra cotta facade and will incorporate two historic buildings. The project team implemented a Highly Collaborative Project Delivery (HCPD) method that takes the BIM process to the next level with co-location — that is, locating key team members in the same place. The collaborative process — recommended by Tocci — allowed the daily exchange of models and provided all team members with up-to-the-minute information. The SDS/2 Global Review Station also facilitated 3D shop drawing review and early interaction between project partners. To read the rest of this article in Connections, a publication of the OSCO Construction Group, click here. The article begins on page 26.